BBC Worldwide will launch its primetime driving-entertainment format The Getaway Car in Cannes next month. Worldwide, the commercial arm of UK pubcaster the BBC, will host a launch event at the market with Andy Rowe, the exec producer of the UK version of the show, talking to buyers and answering questions. The format was created by the BBC for BBC One and went out in Saturday primetime in the UK. It was fronted by Dermot O’Leary (X Factor). 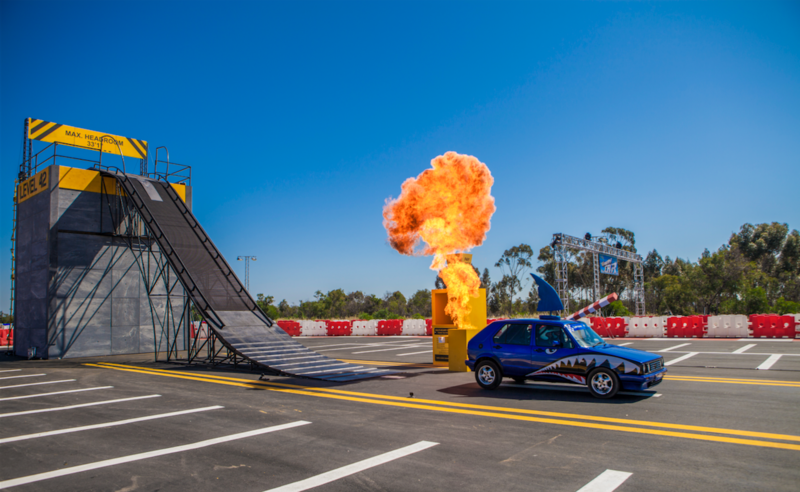 The show pits couples against each other over rounds of driving challenges including a giant obstacle course for cars and a race against The Stig, the masked driver another Worldwide property Top Gear. The show will head-up Worldwide’s 24-strong slate of formats at MIPTV, with 12 scripted and 12 unscripted across the line-up. Other unscripted offerings include Ultimate Hell Week and The Big Catch, and from the creators of You’re Back in the Room, a new quiz show For What it’s Worth. Heading up the scripted formats slate is psychological drama, Doctor Foster, which had an average audience of 8.2 million viewers on BBC One last year. Other scripted formats include crime dramas Unforgotten, The Interceptor, The Coroner and The Last Hours of Laura K. Comedy formats include Puppy Love and In the Club.